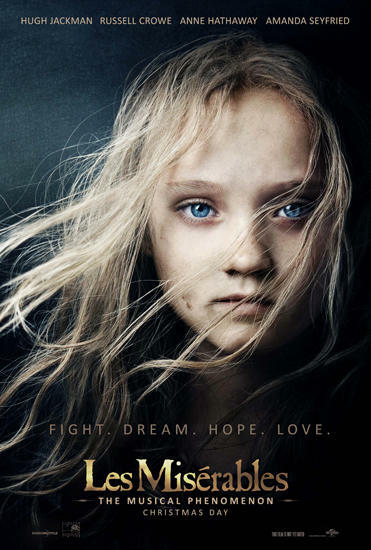 Anyone with any interest at all in musical theatre will be only too aware that it is the world premiere of the Les Miserables movie in London tonight. Michael Ball and Emma Willis are in Leicester Square today recording footage for the Les Misèrables Movie Special which will show how the classic novel has gone on to be the most successful musical in the world and has now become one of the most eagerly anticipated films of the year. The one-hour programme will be broadcast on Tuesday 1st January on ITV1 at 16:50 and includes exclusive interviews with the cast including Hugh Jackman, Russell Crowe, Anne Hathaway, Amanda Seyfried and Eddie Redmayne. It shows footage from some of the 42 countries where the show has enjoyed success as well as clips from star studded birthday and anniversary performances. Producers Cameron Mackintosh, Eric Fellner and director Tom Hooper give an insight into how the movie was put together, from casting choices to the locations and the many challenges they faced. Les Misèrables Movie Special shows how this movie broke new ground with the actors singing live, by exclusively showing the orchestra recording sessions at Abbey Road and insightful behind-the-scenes footage.